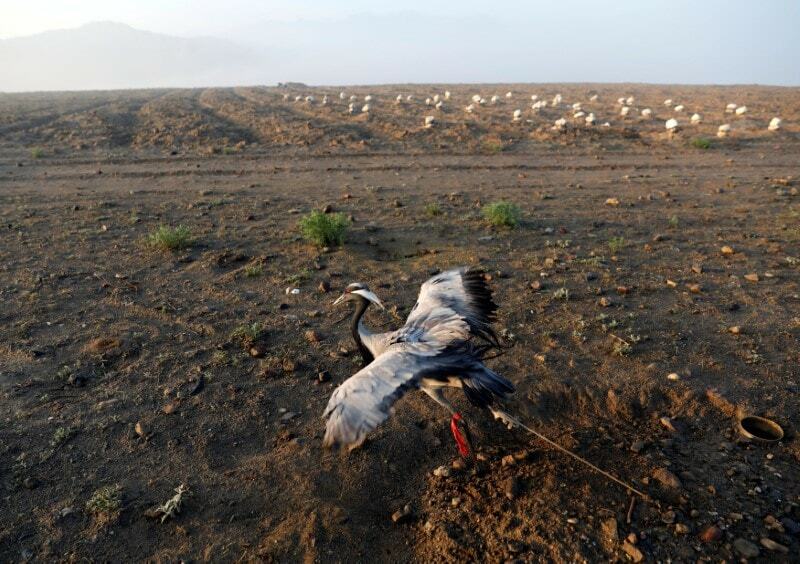 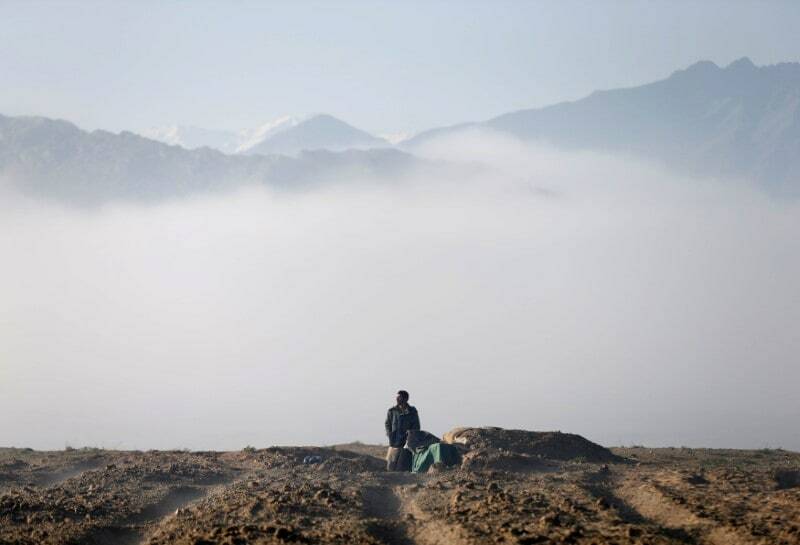 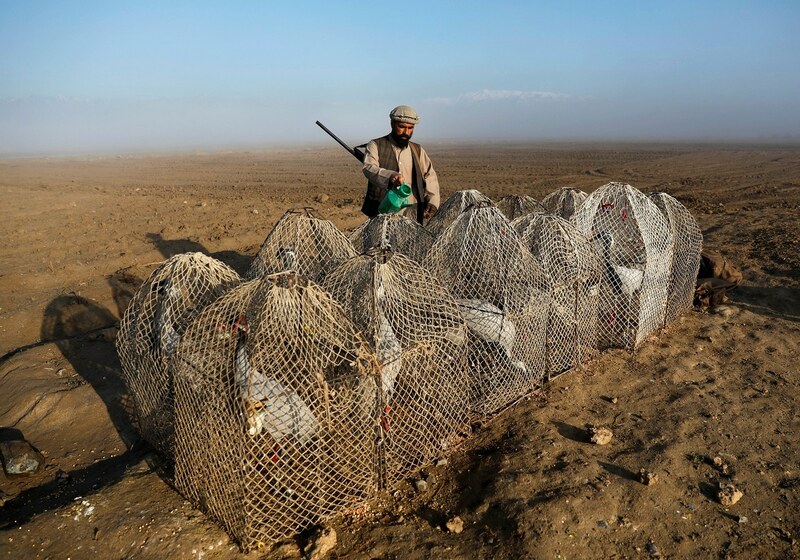 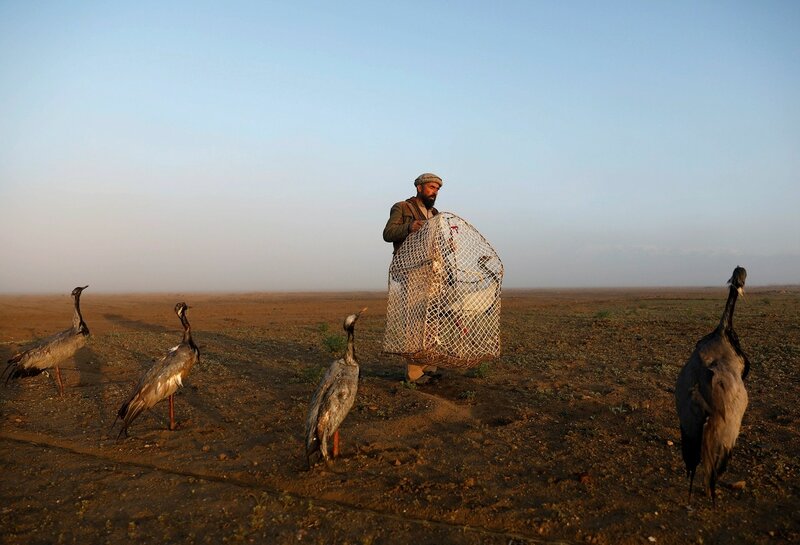 As the early morning light breaks over the plain north of Kabul, bird hunter Jan Agha checks his snares as he has done for the past 30 years, hoping to catch a crane, using a tethered bird to lure others down to the nets. 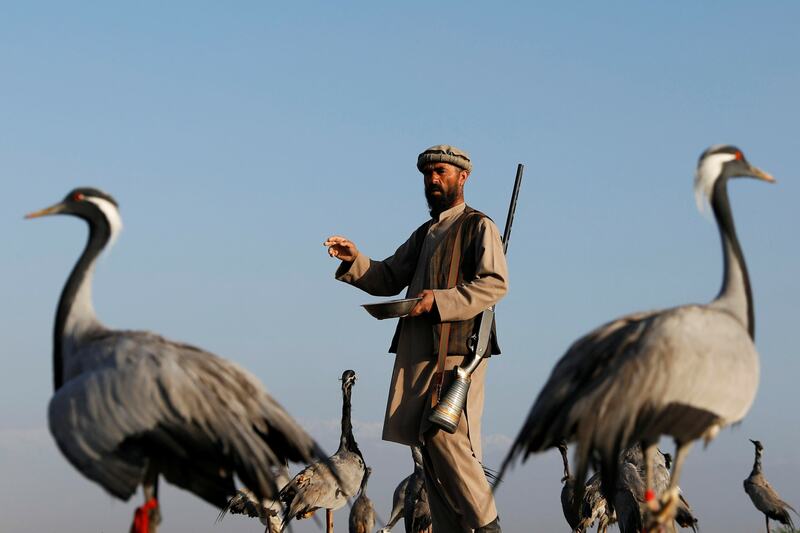 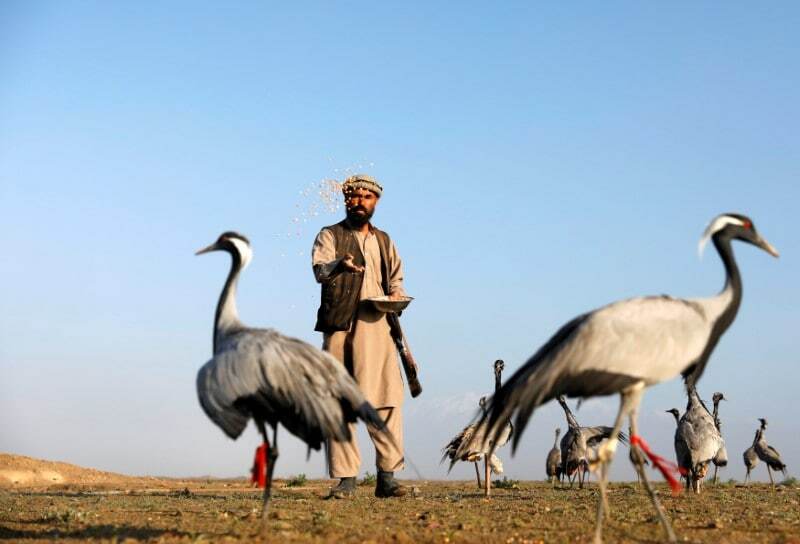 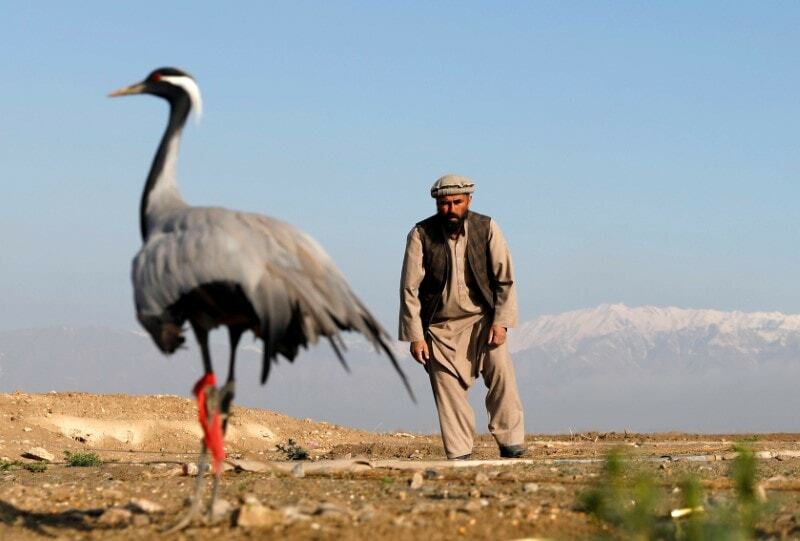 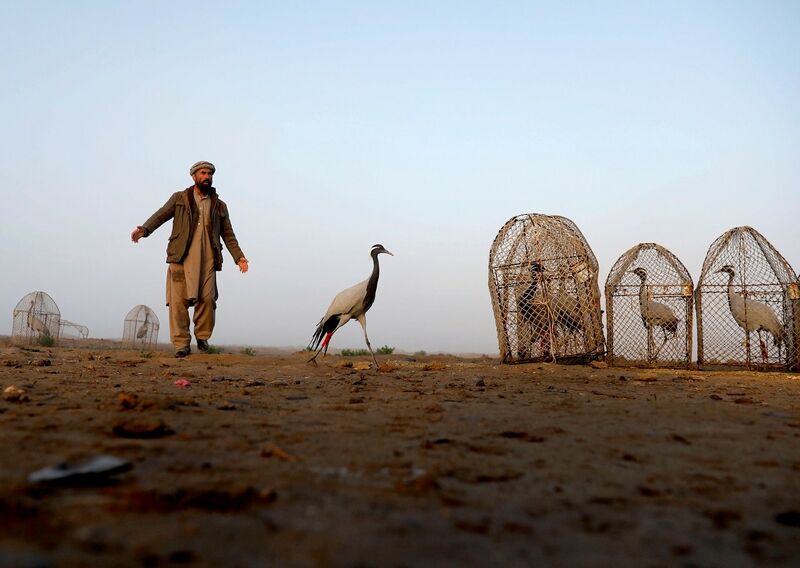 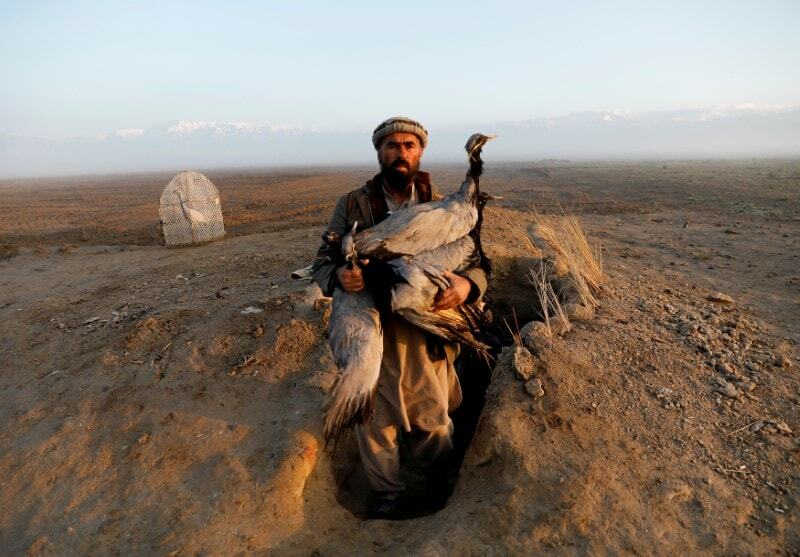 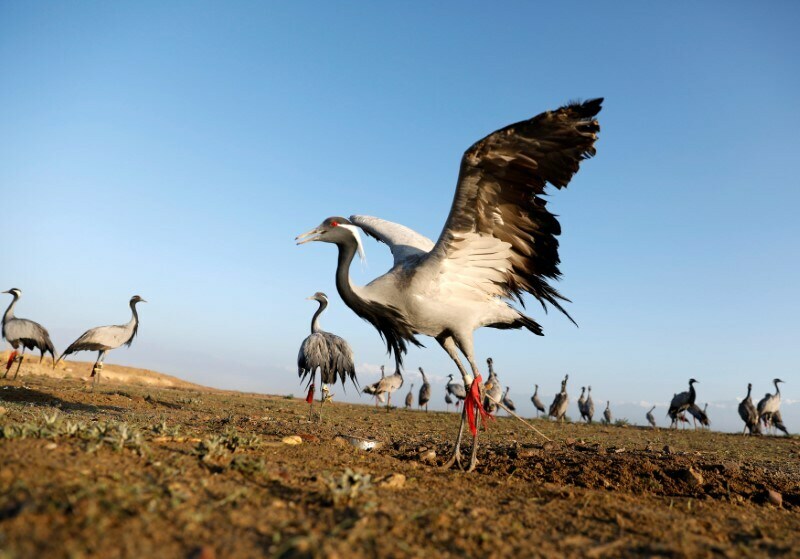 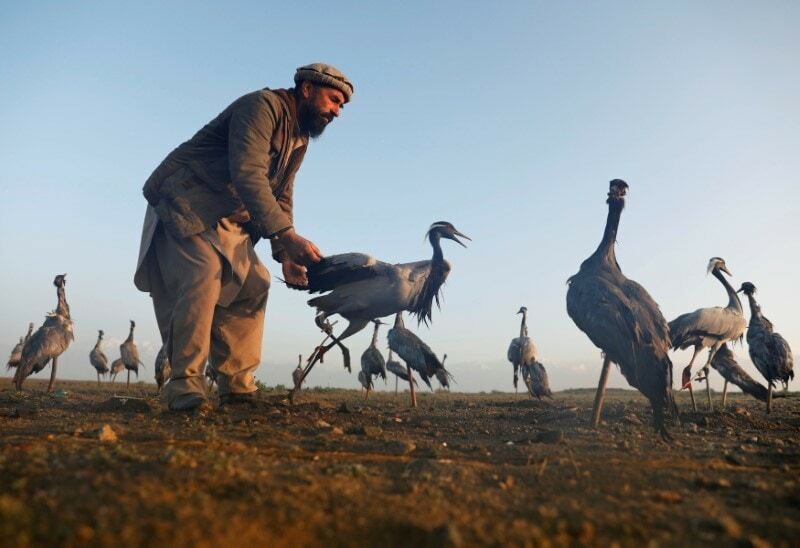 Bird hunting is an ancient sport in Afghanistan, where local and migrating species have flocked for thousands of years and where even amid the chaos of the past 40 years of conflict, the tradition persists. 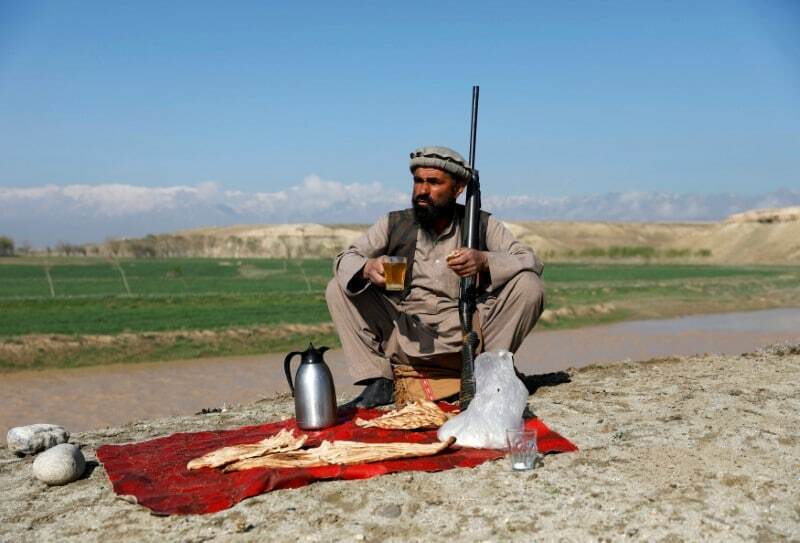 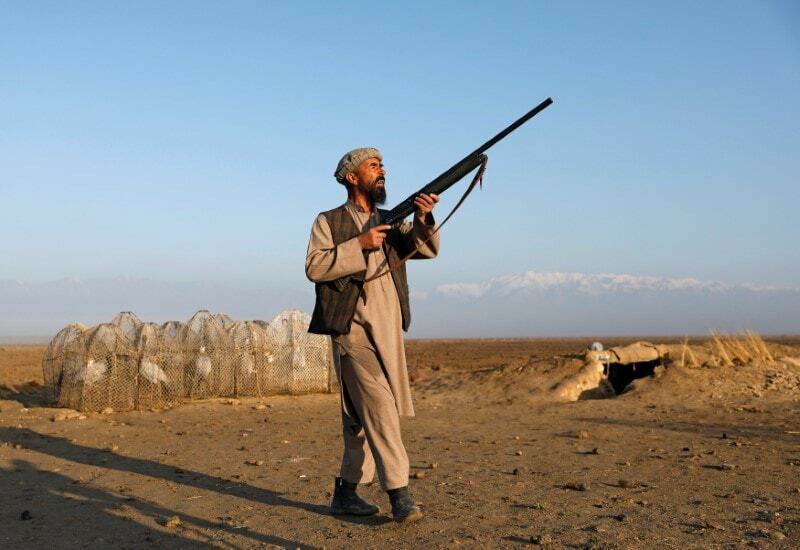 "I have learned different types of hunting from my ancestors because they were hunters too," said 49-year-old Jan Agha, a farmer in Parwan province.